With a current market share of 26%, Magento dominates the other CMS in the field of eCommerce development. It is giving a very tough competition to the other eCommerce platforms like 3DCart, BigCommerce, Shopify and others. This exquisite and feature-rich platform is used both by large enterprise owners and the newbies to design a custom-made online shopping website. Listed below are some of the top advantages that makes Magento a popular choice amongst web developers. Magento is an extremely flexible framework that allows developers to incorporate advanced methodologies. Using Magento, developers can integrate modern features on their store like customized shopping carts, products and much more. Websites developed using Magento framework are highly compatible with multiple devices of varying screen sizes. These websites can be accessed on mobile devices of varying screen sizes, thereby drawing more number of prospects to the website. 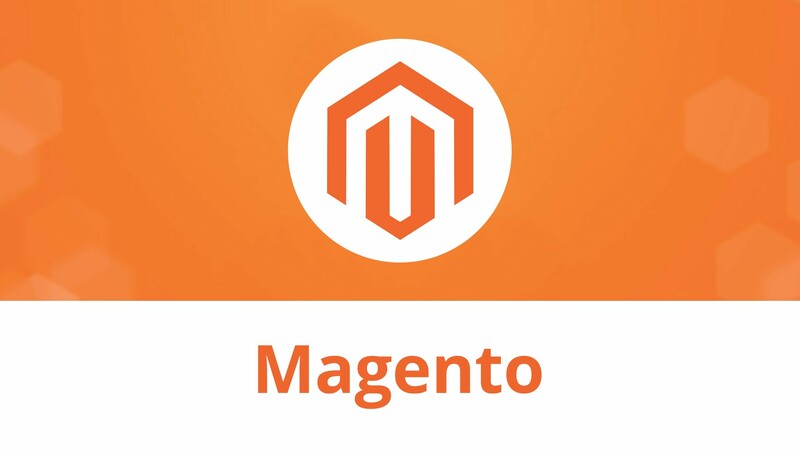 Magento is an open source platform that is easily accessible by developers all around the world. The platform allows designing websites strictly for business use having assorted functionality. There are almost 80% of websites being launched using Magento with increased growth visibility. Using Magento does not costs much. This is the only reason which has led to the growing popularity of this CMS in the recent years. Magento enabled websites can be easily browsed on the topmost browsers like Mozilla, Chrome, IE, Opera, Safari and so on. This, in turn, improves the ranking on top searches of Google and other search engines. Magento enabled website eliminates the hassle of checkout process and helps in retrenching cart abandonment rate. It allows visitors to spend more time on exploring products and investing lesser time on making payments. Magento comes with a drag and drop visual merchandising capability that offer an ease in optimizing products. With the help of product optimization feature, it becomes easy to optimize site URL’s, page title, meta tags, ALT tags and other elements of the website. This feature helps site owners to get their products visible high on search and social media. Magento comes with in-built SEO features that helps in the optimization of website by ranking them higher. Magento is a leader in supporting multiple payment gateways like Braintree, PayPal, Authorize.net and so on. These payment options provides ease in shopping to customers across the globe. Integration of payment options makes the overall transaction hassle-free and convenient. Magento makes it easy to upload product with bulk upload features and allows import from third parties. Additionally, there are features like product comparison, wish-lists, downloadable products, price rules, product tags and reviews that are going to be fruitful for your business. Magento-based websites are completely safe and secure, which, in turn, reduces data violation from external sources. Magento-based websites support multiple languages and multiple payment methods. This feature of an upgraded Magento website allows developers to add multiple shopping stores to the website. This includes addition of products, catalogs so as to offer a unique shopping experience to customers. This helps in easy navigation to the desired product category. Coding in Magento isn’t that difficult. It can be easily integrated with third party coding. This, in turn, helps the website to draw the best of both features. The coding is nowhere affected via the use of extensions. This is one of the reasons many businesses have switched to this platform. Magento comes with various tools and technologies that are meant strictly for marketing the business. It is very easy to attract potential buyers with the integration of marketing tools like Flexible coupons, Multi-tier pricing, Landing page tool, Catalog promotional pricing and so on. Magento offers businesses to take care of their orders in the simplest and easiest ways. From the admin panel, it becomes easy to create, edit, view and fulfill orders, raise invoices, create RSS feed, email notification, new order and so on. This features makes it quick and easy to search products via precise filtering and navigation options. With the built-in support for Google analytics, businesses can keep a tab on the performance of their eCommerce websites. They can fix any of the obstacles linked with Internet visibility, website traffic and user engagement. Magento is completely a security-oriented platform. It offers great support for SSL security on backend as well as front end. Along with it customer data privacy and user based authentication are some other top-notch features of the CMS. Magento web development has expanded rapidly owing to its intuitive and user-friendly features. With more than 800,000 certified and talented Magento developers across the globe who have created websites for 240,000 businesses till now, Magento has occupied more than a quarter space in the global market. It is only due to its versatile features the CMS offers easy navigation, swift processing and integrated payment gateways for a fully-fledged online store. This article is written by Jason Larue, he is an expert Magento developer employed at PHP Development Services. He has been offering customized Magento web development services to clients globally. Owing to a huge skill set and proficiency in the related domain, he has acquired successful results till now. In addition to this, he also likes sharing knowledge on Magento web development. This blog is one of his unique and well-written composition aimed at imparting useful knowledge to readers. How to Change WordPress Username?